Yesterday, the symphony brass quintet went caroling. We drove to the homes of some of the big donors and played for their Christmas parties. It’s fun, we get to eat really good food and drink wine, and it’s important for the symphony. 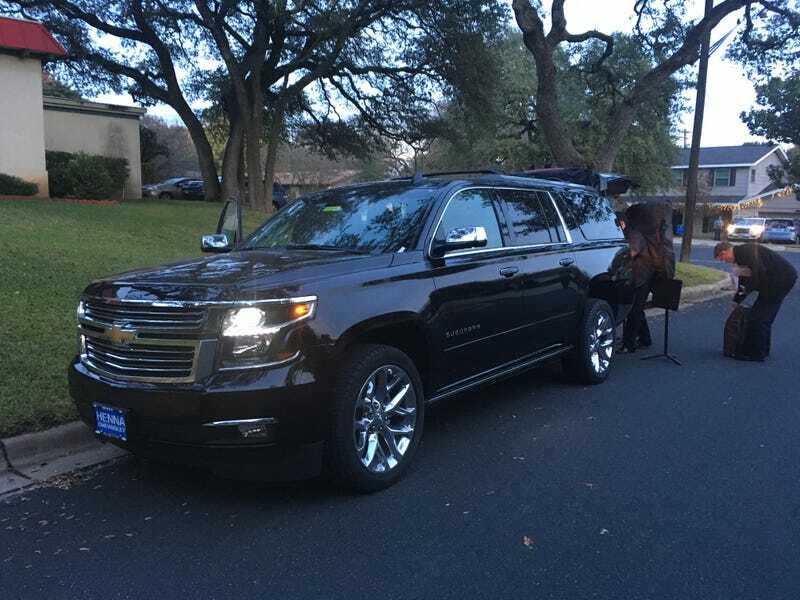 Anyway, a local Chevy dealership loaned the symphony a totally maxed out Suburban for us to go house to house—22" chrome wheels, sunroof, leather, infotainment. I’m not sure if there’s a more expensive one out there or not, but this one was pretty expensive. Nice of them to throw in a $500 discount.